Having announced a wide-reaching restructuring initiative for its International Operations (GMIO) business unit, General Motors has now provided details of how it will exit the South African market. Before getting into the transactional details, it’s vital to define GM’s operations in South Africa: the automaker markets the Chevrolet, Opel and Isuzu brands in the region while operating one assembly plant in Struandale. Though the Isuzu brand isn’t “GM proper” per se, the automaker supports the sales and service operations of Isuzu vehicles in its dealer network in the country. It also produces the Isuzu D-Max midsize pickup truck at the Struandale plant. Cease local manufacturing of Chevrolet vehicles in the South African domestic market at the GM Struandale factory by the end of 2017, subject to consultation with employees and unions, subject to regulatory requirements. 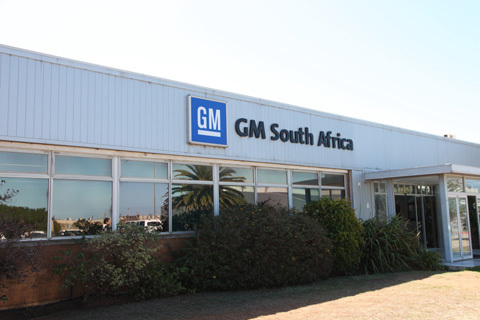 GM South Africa informed employees and unions of the announcements on the morning of May 18th and will begin the formal consultation process with them immediately. It has also established support centers for employees. In addition, GM South Africa will also work closely with affected dealers on a robust transition plan. Customer support center resources will be expanded and all warranties and service agreements as well as ongoing service and parts requirements for all vehicles will continue to be honored. Isuzu has had a presence in the South African market for over 44 years. For the past four years, it has occupied the number one position in the medium- and heavy-duty commercial truck segment of the South African market. Purchase the GM Struandale manufacturing plant and GM’s minority shareholding in Isuzu Truck South Africa (Pty) Limited to continue manufacturing the Isuzu KB and medium- and heavy-duty commercial trucks in Port Elizabeth. This is subject to competition regulatory approval. Assume control of GM’s Parts Distribution Centre and Vehicle Conversion and Distribution Centre. Set up its own dedicated dealer network to market, distribute and service light commercial vehicles for existing and new Isuzu customers. “We are committed to the South African market,” emphasized Haruyasu Tanishige, senior executive officer for the Sales Division of Isuzu Motors Ltd. “The integration of our light commercial and medium- and heavy-duty commercial business will strengthen our base to grow here. We will do this through our focus on providing outstanding aftersales and customer support, establishing close relationships with our local partners and expanding our business. Following the recent announcement of the sale of Opel/Vauxhall to the PSA Group, GM continues to work with PSA Group to evaluate future opportunity for the Opel brand in South Africa. Importantly, existing Chevrolet and Opel customers will continue to be supported in the market. The GM Authority staff is comprised of columnists, interns, and other reporters who provide coverage of the latest General Motors news. South Africa is a dump run by a racist maniac. GM should have gotten out a long time ago. No hope there. Thanks, Sean, for writing this article. South Africa is beautiful. The government is corrupt but not racist. It is in the difficult position of redistributing wealth still illegally hoarded from the Apartheid era. GM keeps shrinking. Barra needs to stay away from Sergio as she, like him, is overly reactive constantly changing plans based on the latest economic crisis or forecast. Brexit is a great example of hyper over reaction. GM will soon only sell cars in profitless China and the US. I doubt the white farmers who are being murdered agree with you. Maybe the white farmers should return that stolen farm land to the native black African population. The British and Afrikaans had no tight to sell or acquire the land. These murders aren’t for sport but generally robberies. This is what happens when, even after political settlement, 90% of black Africans live deep in poverty, unable to buy adequate food much less an auto. Inequality breeds violence born both of necessity and rage. BTW, I’m white with ties to the area and this makes me far more informed than you. Profitless China? Have you been reading the annual reports? good. get out of low margin, low growth markets and deploy resources elsewhere. what is your argument for gm staying in south africa? Tom – China has huge volume but very little profit because 1) margins are thin and 2) profit is split with joint ventures. GM’s Q1 2017 earnings included a net income of $319 million form GMIO (which includes GM China), down 15 percent compared to $379 million in Q1 2016. By comparison, GM North America Q1 2017 performance included a net income of $3.4 billion, up 48 percent compared to $2.298 billion in Q1 2016. Bottom line: China is very resource and capital intensive, but is not highly profitable. GM made $2 billion in equity income in China in 2015 and 2016. It’s the most important and profitable business besides North America. Serious question – how is China more capital/resource intensive then any other market GM or any other car market occupies? Seems like it would be less so due to being a partnership. A side benefit of GM withdrawing from South Africa is that GM employees will no longer have to visit this crime ridden country. This doesn’t surprise me in the least! GM has along history of meddling with its South African operation, sometimes with good reason but mostly ill thought through and often to its own detriment. During the 1950’s, 60’s and early 70’s, GM was the market leader with a huge array of brands – Chevrolet, Pontiac, Vauxhall, Opel, Holden, GMC and Bedford. By the late 60’s this also included Ranger (rebranded Opel Rekord), Isuzu pick-ups badged as Chevy LUV and Isuzu medium and heavy trucks wearing the Bedford griffin. Strangely the Isuzu Bellet and Florian sedans retained Isuzu branding. Clearly there were way too many brands (often sold from the same dealership) and a cull was ordered and by 1970 there were but two brands – Chevrolet and Bedford. In 1969 the last Canadian sourced RHD CKD kits for Impalas, Malibus, C10’s, Catalinas and Bonnevilles were phased out as the model range was down-sized across the board. Bedford flew the flag for commercial vehicles with the bow-tie now proudly adorning the Vauxhall Viva (Chev Firenza), Opel Rekord (Chevy 2500/3800/4100) and Holden Premier/Brougham/Monaro/Ute (Chevrolet Kommando/Constantia/SS). The Isuzu car range was dropped with only the Chevy LUV bakkie being retained. Interestingly the Holden Ute was rebadged as a Chevrolet El Camino for two generations. During the early 70’s the 2500/3800/4100 were SA’s best selling car. In 1976 the Vauxhall Cavalier arrived under the unique guise of Chevair. For a bit of added spice, in 1972 GMSA also developed the legendary and hooligan Can-Am Firenza, dropping in the 302ci V8 from the Camaro Z28, in the process creating the ultimate pocket rocket. In 1980 it was all change again. By this time Toyota and VW had overtaken GM in the sales stakes. The Vauxhall and Holden sourced models were phased out and everything was now based on the Opel Ascona/Rekord/Commodore/Senator ranges with the bow-tie being slapped on the front and rear of all whilst retaining the same model names as Opel. However the Chevy LUV now reverted to its proper Isuzu KB title with all medium and heavy trucks also being sourced through and badged as Isuzu. In 1986, GM threw in the towel, packed up its bow-tie and sold the operation to a local consortium, Delta, who started building Kadetts (Astras) and Rekords under licence and rightly marketing them under the Opel brand. Big emphasis was placed on their German heritage and their popularity grew accordingly. Delta also continued the very successful association with Isuzu flying that flag alongside the Opel standard. Under Delta the Opel brand was firmly re-established, with the local engineers producing some real gems such as the Kadett Boss 200i and the Rekord 380i, the latter using an imported Buick V6 3.8 ltr. In 1995, GM was among the first in the queue to shake Nelson’s hand. By 1997 it had acquired a 49% shareholding in Delta. By now Opel the Opel family was firmly planted in 3rd position behind Toyota and VW, the Isuzu KB was second only to the ubiquitous Toyota Hilux and Isuzu led the medium and heavy truck market. By 2004 GM bought Delta outright retaining the Opel Corsa and Astra ranges, whilst introducing all the Korean sourced krud from Daewoo and badging them as Chevrolet. Holden was re-introduced wearing the bow-tie and featuring both Commodore and Ute marketed under the model name Lumina. Isuzu thankfully remained unfettered and as the South Korean Chevrolet (proper) models replaced the re-badged Daewoos, Opel was gradually pushed into a niche in a dark corner of the showroom. The Opel Corsa bakkie (pick-up) however remained GMSA’s best seller and together with the Isuzu KB, were the only GM models to feature in the country’s top ten best-sellers. GM of course could not allow this and so in 2010 the Opel Corsa (C) bakkie became the Chevrolet Corsa Utility. Confusingly the Opel Corsa hatch-back remained as such. Perhaps realising the muddle, with the release of the new model in 2013, it transformed into the plain Chevrolet Utility. By 2015 the Holden sourced Luminas had disappeared. So here we are in 2017. Thanks to their infernal meddling, GM has dropped to No.8 in South Africa and somewhat of an also-ran. Hopefully PSA sees the light, picks up the cudgel and in regional partnership with Isuzu, relaunches Opel with the full range. Together Peugeot, Opel and Isuzu will I’m sure, in time, become a force to be reckoned with not only in South Africa itself, but across Central and Southern Africa too! Delta was the placeholder for GM because of the campaign to boycott, des-invest and sanction the racist Apartheid South Africa. That GM could retake their business after the first democratic election in SA shows how insignificant the divestment actually was. Two more GM marques I overlooked during GM’s SA tenure. In the mid 1960’s the Acadian Beaumont (Chevy Malibu Mk1) was launched replacing the Chevy Nova which in turn replaced the original Chevy II. In 1968 the Acadian brand was dropped when the Chevy Malibu Mk 2 super-ceded the Beaumont. And of course GMSA’s Struendale plant was also the sole production facility for all Hummer H3’s! As with Australia, Cadillac had been rumoured to launch in South Africa numerous times during the last decade, but as far as I’m aware this never happened. Perhaps somebody made a link to Johann de Nyschen (head of Cadillac) who I understand is a South African. Automobile PRODUCTION in South Africa seems to be interesting. I was astonished to find South Africa as one of the major sources of automobile imports into the European Union. In the passenger car market, SA ranked fifth by total value behind Japan, United States, Turkey, and South Korea, with these five making up four fifths of the total import value. By volume, i.e. by number of units, Morocco occupies the fifth place instead of South Africa. In the commercial vehicle market, imports from South Africa rank fourth by volume, behind Turkey, China and Thailand. »The [automotive] sector is one of South Africa’s most important, contributing at least 6% to the country’s GDP and accounting for almost 12% of South Africa’s manufacturing exports, making it a crucial cog in the economy. In 2010, 271 000 vehicles were exported. I just wonder about the high value of the imports from South Africa. Does maybe BMW import cars from South Africa? The BMW 3 series is built at the Rosslyn plant near Pretoria, the capital of RSA. It is exported across the world in both LHD and RHD guises. BMW has a long association with building cars in Southern Africa, stretching back to the mid 1960’s. An extensive and often unique range of BMW models were assembled both in RSA and Rhodesia (Zimabawe), the latter being particularly interesting given the UN sanctions against the ‘illegal’ Smith regime … but that’s a whole other story, involving the participation of Renault, Peugeot, Citroen, Alfa Romeo, Datsun, Toyota, Mazda, Isuzu, Daihatsu, International, Land Rover and then some! BTW, I heard that BMW was thinking to shift a significant part of Mini production post Brexit to South Africa. Currently, besides the new Mini plant in Oxford, England, Minis are being assembled also at the VDL Nedcar plant in the Netherlands. Other big global high value exports from South Africa include the Mercedes Benz C-Class saloon (C205) built at Daimler’s East London plant and the Golf (MK7) 5-dr hatch built at VAG’s Uitenhage plant near Port Elizabeth.